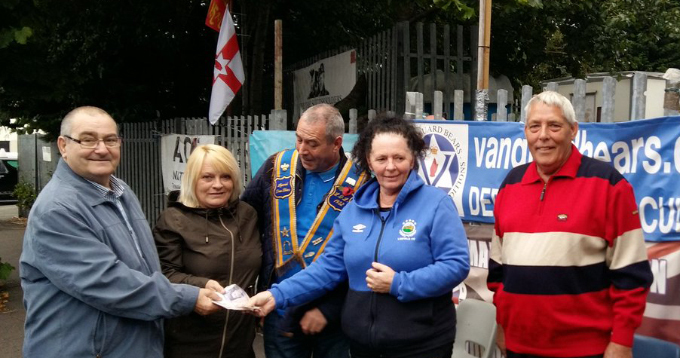 The membership of Vanguard Bears recently raised the sum of £500 to be donated towards the upkeep of the Twaddell Civil Rights Camp. It has been more than three years since the Orange Order's Ligoniel Lodges were debarred from returning to their homes via the traditional route past Ardyone shops. Our loyalist friends from across the water are always in the thoughts of VB Admin and membership and we remain hopeful of a satisfactory conclusion to this unwarranted impasse.